All of us have things that we care about. But when we really think about it, more often than not, a lot of the things we care about are the things that are keeping us from achieving our full potential. 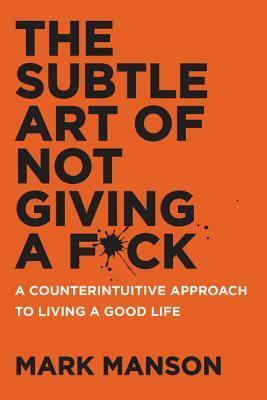 The Subtle Art of Not Giving a F*ck teaches you to let go of those things that are detrimental to your happiness by picking up new habits and ways of thinking that will promote self-development, which in turn, will make you an overall happy person. Sometimes, the way you think and react is what is holding you back. The actions in this book will help you identify these maladaptive thought and reaction patterns, so you can learn to train yourself to think and react in ways that promote long-term happiness. If you apply just one or two of these actions to your life, you will emerge a much happier, well-adjusted person. Sustain the pain that you have chosen.